In December 2016 I received this beautiful photograph from Happy Families Pizzeria in West Addis Ababa. 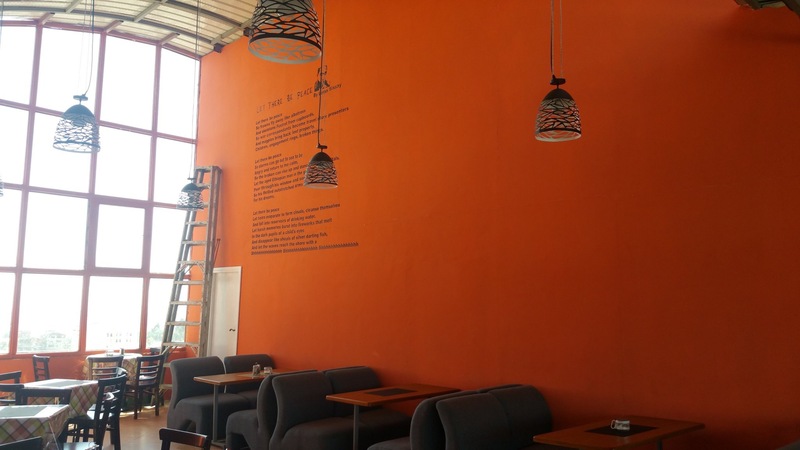 There is my poem “Let There Be Peace” upon the walls. It is the second Landmark poem in Ethiopia. I promise to visit when I travel to Ethiopia. There is no better time than now for this poem to be in Ethiopia.